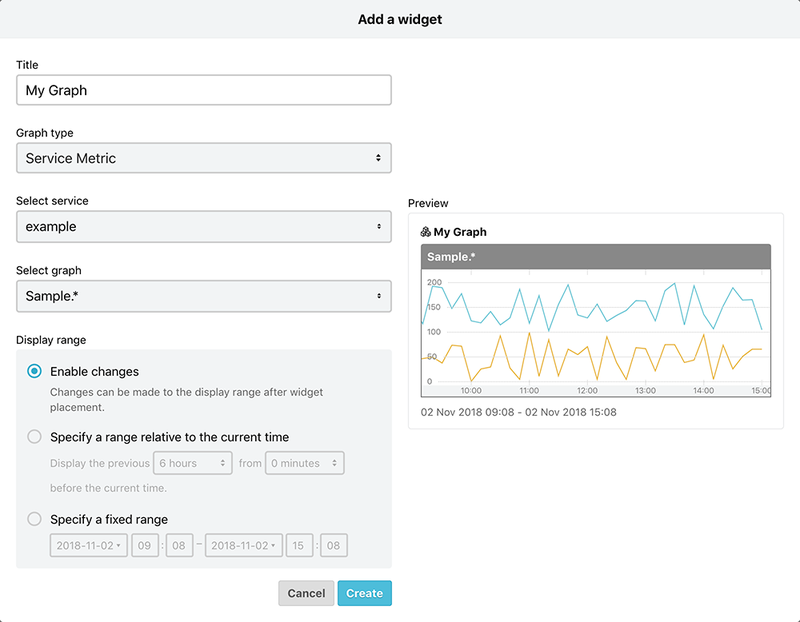 Display graphs in custom dashboards with the use of Graph Widgets. 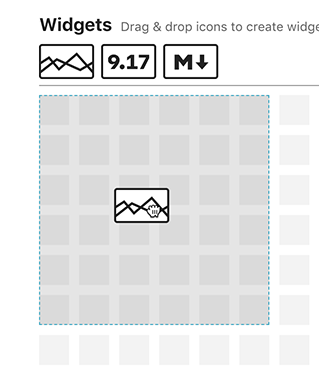 Drag & drop the graph widget icon to determine where to place the widget. Then select the type of graph to display in the widget. Choose from following graphs. Next, select the graph display range. Choose from the following. 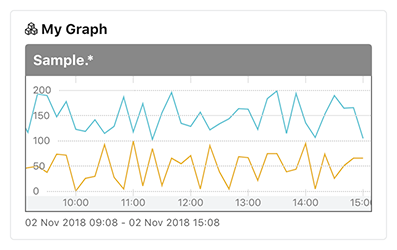 After editing the dashboard, changes can be made to the graph display range using the controller at the top of the screen or by selecting an area of the graph. Specify the length and the end of the range relative to the current time. For example, use this when you want to display a graph of the same range one year ago. Always displays a graph of the specified range. After your selections are complete, create the widget by clicking the Create button.